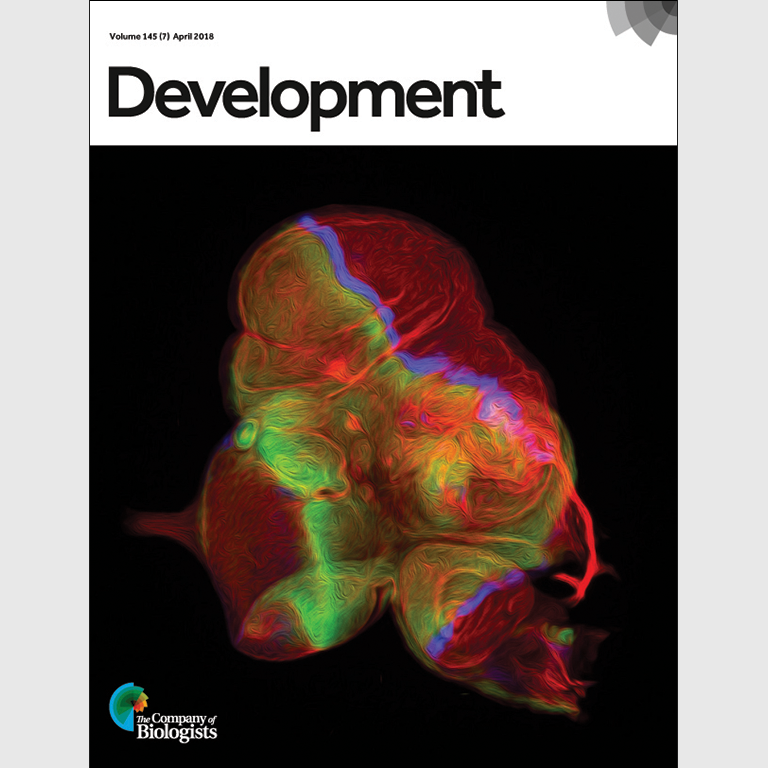 The paper “Polycomb group (PcG) proteins and Pax6 cooperate to inhibit in vivo reprogramming of the developing Drosophila eye” was selected for the cover of Development. Within this paper researchers in the Kumar lab describe how transcriptional networks and epigenetic enzymes cooperate to repress non-ocular fates from taking hold in the developing eye. Kumar lab members authoring the article were Jinjin Zhu (graduate student), Alison J. Ordway (graduate student), Lena Weber (undergraduate student), and Justin P. Kumar (professor of biology).